Susanna heads up IBT Online's content creation efforts for both in-house and client services. Great content means getting accurate and relevant knowledge and disseminating it in the ways clients want to receive it. Great content is the bedrock of great marketing and is especially necessary for companies with global aspirations. Susanna brings her expertise in international business development and marketing to the IBT Online team and has worked with a wide spectrum of companies to succeed in global markets. Maria is one of the Web Project Managers at IBT Online, and is responsible for the coordination of our teams, making sure we meet our client’s goals and deadlines, and exceed their expectations. Maria is no stranger to the digital space -she has built websites, coordinated teams (both in-office and remotely), created and managed marketing campaigns and has a strong background in digital and corporate communications. 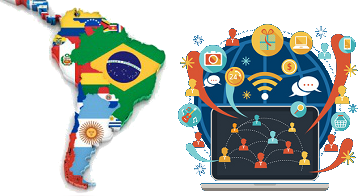 IBT Online provides website localization and international online marketing services to help companies grow their sales, brands and businesses online globally. We are proud to serve companies to help them expand their online presence and boost their international business.